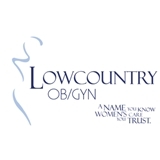 Lowcountry OB/GYN (Charleston) - Book Appointment Online! Very professional, easy to talk to. She is very warm & sincere. I have been to her numerous times & she is always lovely to talk to & very knowledgeable. She has always given me great advice. Dr. Gregory is P U R E G O L D ! She made a procedure which is noted for potentially being very painful a breeze. She answered all of my questions, helped me make informed decisions which were best for my health, and her bedside manner is unmatched. I felt as though I was her only patient for the day. I had to refill out paperwork at the office, despite filling it out on ZocDoc in advance. Uniform paperwork would simplify this procedure. Very knowledgeable and caring, overall the best doctor visit.